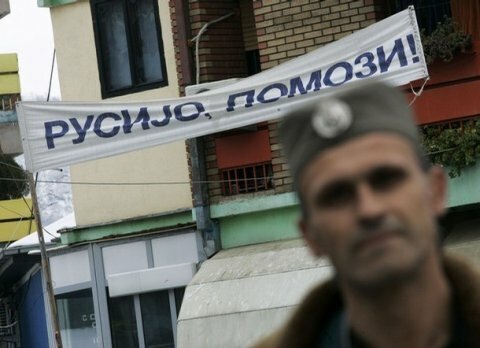 Serbs in Metohija have asked the Russian State Duma for help to get Russian citizenship, in order to prevent the daily attacks by Kosovo Albanians. There are at present 200 thousand Serbs in Kosovo, 21 thousand of whom have made the request. Thousands of Serbs living in the Serbian part of Mitrovitsa have taken to the streets carrying placards with the inscription “Russia, help”. Mitrovitsa, which lies on the administrative border between Kosovo and Serbia, resembles the carving up of Berlin 20 years ago. Serbs in Kosovo are hoping that dual citizenship will be a protection for them. Serbs living in Kosovo have loudly declared that they face possible liquidation. The appearance in Serbia of a party, which is calling for the recognition of the independence of Kosovo, has further strengthened the Serbs' fears of extinction.